The Boo-Crew Build Crew has designed, fabricated, and integrated dynamic special effects into every haunted attraction at Darkside Haunted Estates. From the ¼ mile haunted walking trail to the Mayhem Hayride through the backwoods. Our newest attractions now include the Insane Asylum, JoJo's Clown Town, the Slaughterhouse and now the BUNDIE Hotel! Tickets available at the Midway Ticket Booth. 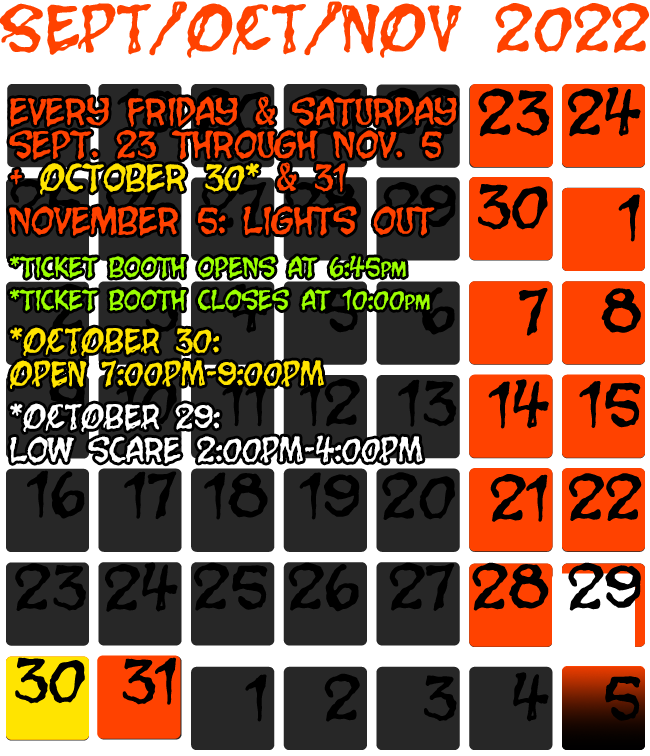 Come visit the scariest, most intense haunted house attraction in North Carolina - Darkside Haunted Estates.